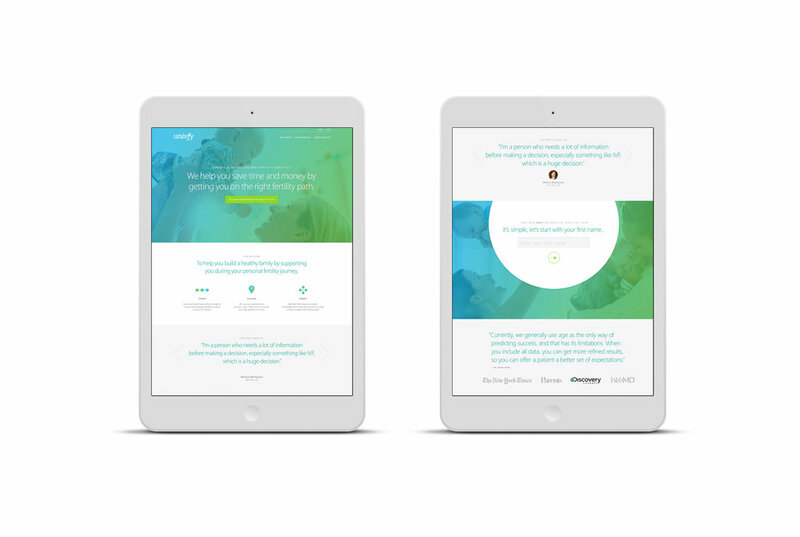 I researched the industry and the audience mindset before completing a thorough brand refresh and website redesign for Univfy, the only validated IVF prediction platform (machine learning/AI-powered) that provides customized analysis and prediction tests for individual IVF centers. 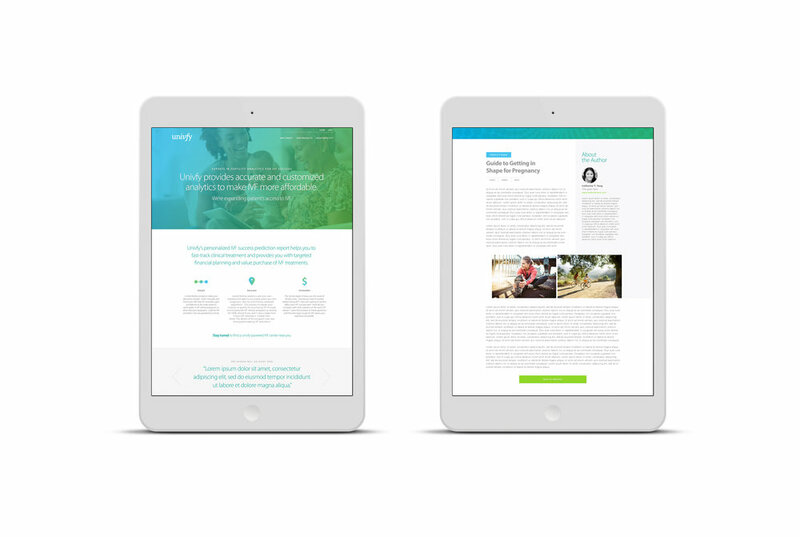 I provided a simple brand style guide, tone of voice for copy, and fully-responsive website. 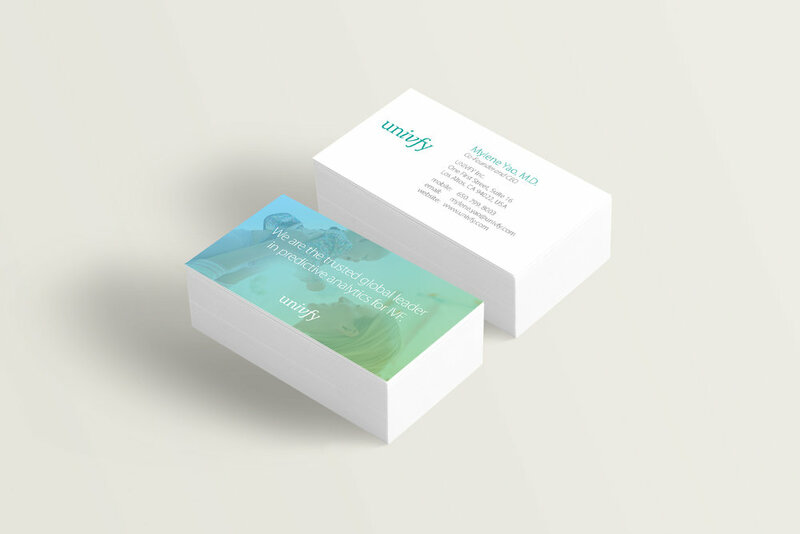 I also established a consistent look/feel for various types of collateral (brochures, business stationery, pitch-decks, event booth designs, etc.). 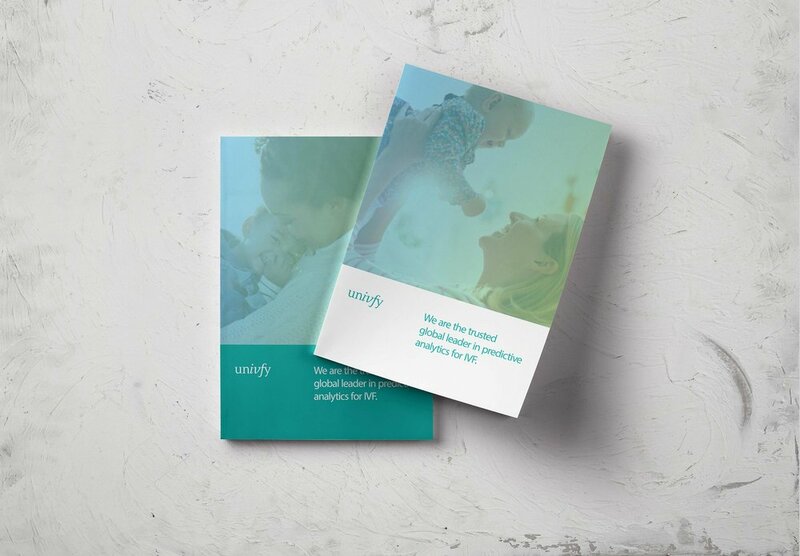 Univfy has experienced many successes after the rebrand work such as an award from the industry's leader, The Bump. They've also gained positive momentum by landing new IVF clinic partnerships and VC funding to expand their machine learning/AI-powered predictive IVF platform. We aim to help more women use IVF with greater confidence, success, and cost transparency. We won The Bump Best of Baby Tech Award CES 2016 in the Fertility & Pregnancy category! The award was presented by Julia Wang, Site Director of The Bump, and Randi Zuckerberg, founder and CEO of Zuckerberg media. Thanks to all of you for your votes and support. We couldn't have done it without you! And a big thank you to the Univfy team for your wonderful work! 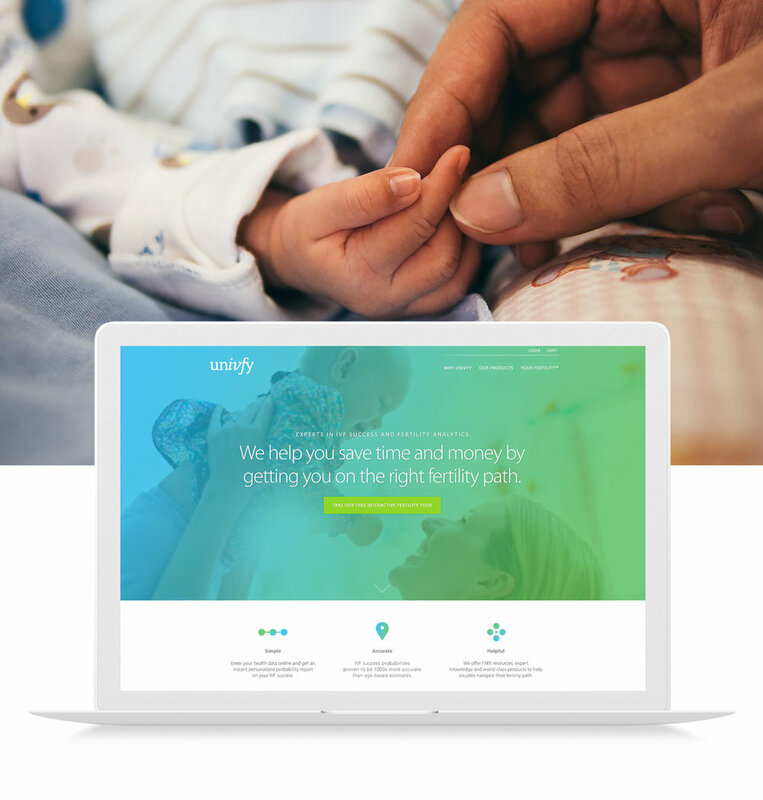 The Univfy team is excited that the needs of fertility patients are recognized at the Baby Tech Showcase at CES!